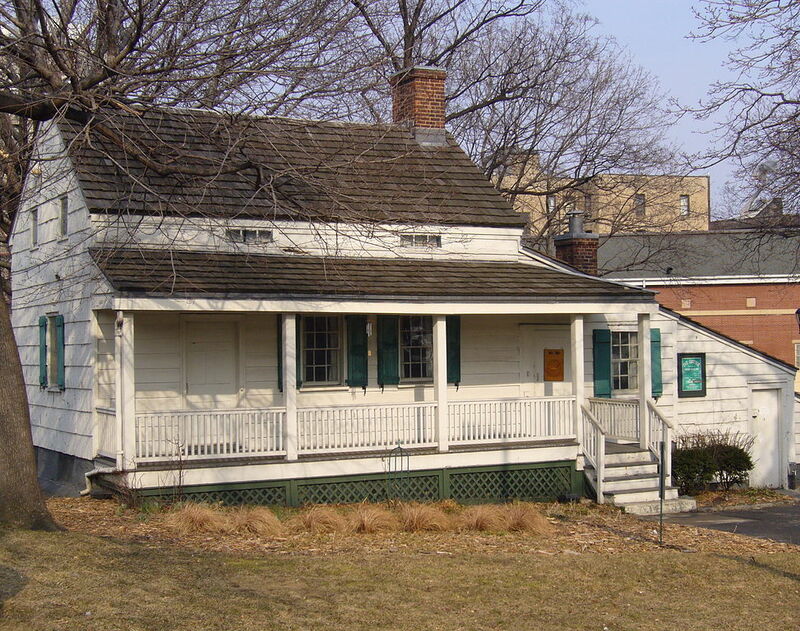 The Poe Cottage is one of the few extant 19th century wood-frame residences in the Bronx. Built for John Wheeler, the simple clapboard farmhouse with attic and porch stands 1.5 stories tall. The siding and shutters are original; the doors and windows, while period originals, were added in 1913. It was erected in 1812 and stood initially on Kingsbridge Road. The cottage was moved in 1895 to allow for the widening of the road and again in 1913 to occupy a 2.5 acre plot designated Poe Park by the City of New York. Poe rented the small farmhouse from 1846 to 1849 in the hope of providing his dying wife, Virginia, with therapeutic country air. The treatment failed, and Virginia died in the cottage’s first floor bedroom on January 30, 1847. Poe died a couple of years later on October 7, 1849, while in Baltimore. It is generally believed that Poe wrote Annabel Lee, a memorial to his young wife, and his last great work, Eureka, while he lived there. So sad story… Wonder if this cottage is haunted by Virginia’s spirit !